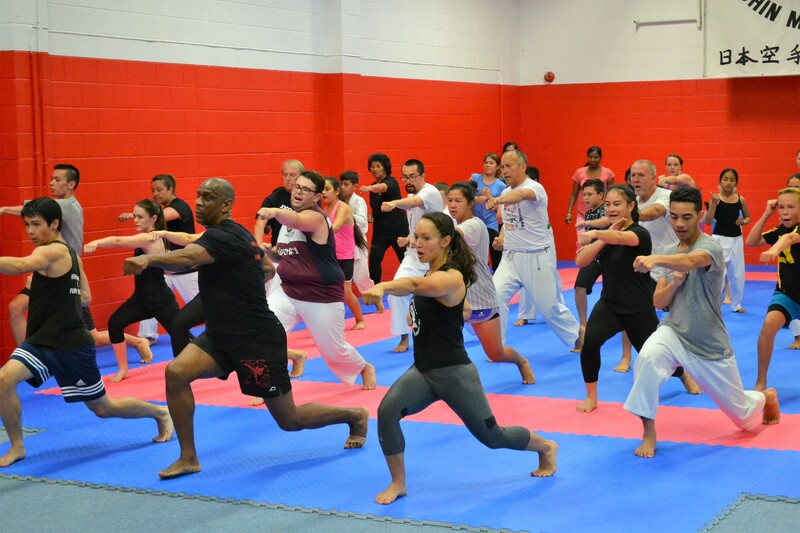 FIT2FITE is a non-contact martial art based aerobic experience. It incorporates proven fighting techniques and combinations that are versatile and stimulating. The FIT2FITE Four Step Format (4S4) template provides trainers with credible alternatives and flexibility within a structured format. The tempo or beats per minute (BPM) of the class enables participants to execute moves safely, technically and with the requisite intensity. FIT2FITE is founded on Traditional Karate principals of training. Emphasises toning through, technique, tension and intensity. Incorporates proven competition fighting techniques. Designed to suit all abilities, from novice to elite athlete. The absence of choreography and focus on realistic combinations attracts men, women and juniors to the classes. The pitch and intensity of the class is uplifting and tailored to the music. The tempo enhances safety and progressive technical development. A self-regulating all over body workout that develops strength, stamina and suppleness. Cost effective as it requires no apparatus. Challenging and facilitates versatility within a structured format. An ongoing learning experience that continually stimulates and builds confidence. Sensei Greg Francis, OBE – is the Founder/Creator of FIT2FITE Fighting Moves To Funky Grooves. He is an internationally renowned Karate Instructor and an acclaimed Fitness presenter. He has won the English and British Championships, most notably he achieved a Silver medal at the World Karate Championships in 1990 at Middleweight. Appointed Assistant Coach (2007) for the English Karate Federation (EKF). Qualified Fitness Instructor with extensive experience of teaching novices to elite athletes both domestically and across the globe. FIT2FITE is endorsed by the England Karate Federation and used by their athletes, and now has over 160 qualified instructors across the UK. FIT2FITE was first introduced at the Karate New Zealand Training Camp in Auckland on 21st January 2017. KNZ is New Zealand’s official governing body for Karate. Photo above: 2018 – Sian Scott also held F2F classes at the University of Auckland and it was labelled generically as “Kickbox” on the University of Auckland – Timetable, but is really all about fighting moves to funky grooves! Check out our latest posts on the FIT2FITE NZ Facebook page!